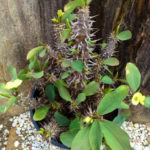 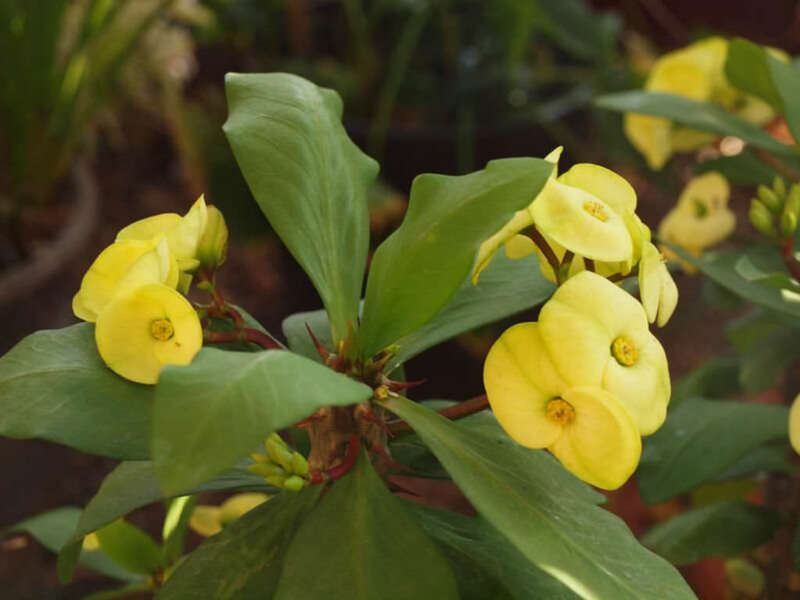 Euphorbia milii ‘Primrose Yellow’ is a succulent, climbing shrub growing up to 6 feet (1.8 m) tall. 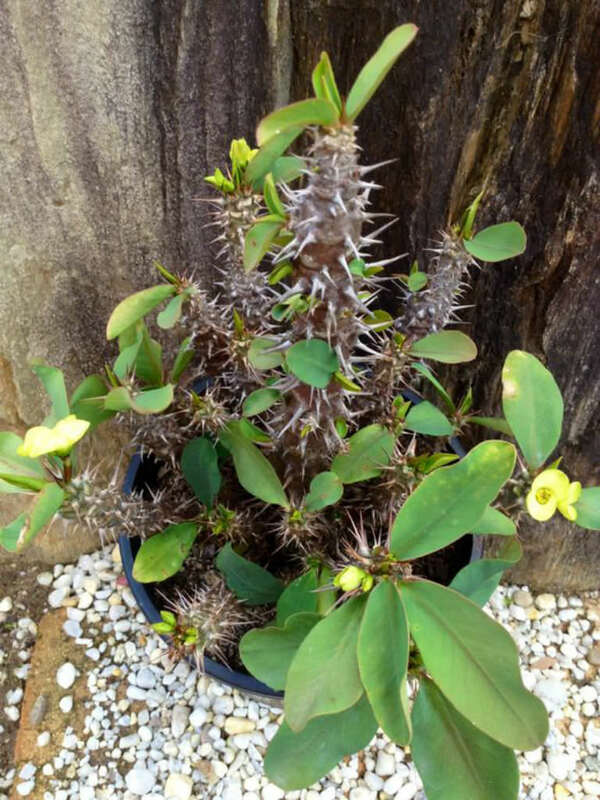 The stems are grayish-brown, 5- to 7-sided, branched, up to 3 feet (90 cm) in height and with many prominent, grey spines up to 1 inch (2.5 cm) long. 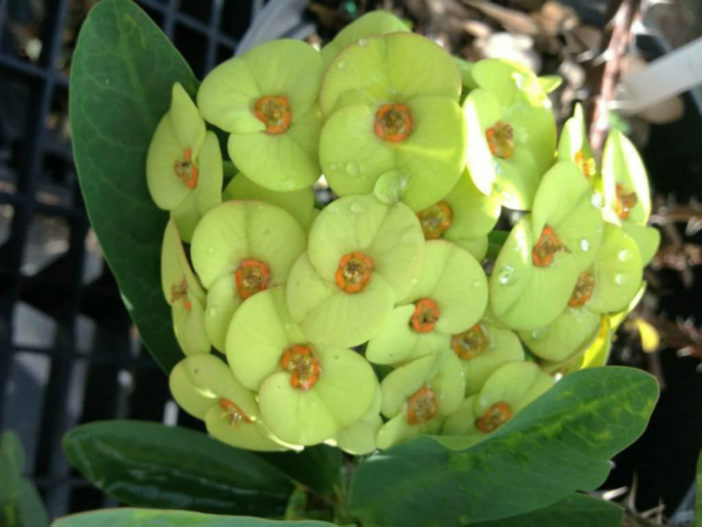 The leaves are found mainly on new growth and are obovate (wider near the tip). 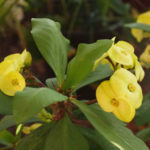 The flowers are yellow and subtended by a pair of conspicuous petal-like bracts. 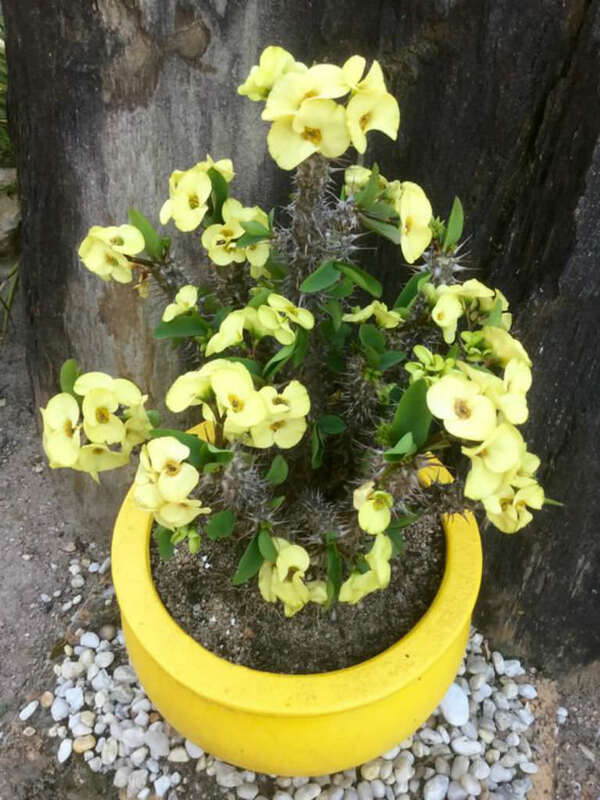 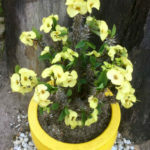 Euphorbia milii ‘Primrose Yellow’ is a yellow flowered cultivar of Euphorbia milii.